If you have been on my Facebook page at all today you may have seen my two big scores... 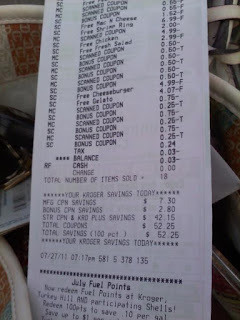 I'm thinking I may need to go to Couponing Rehab after today. I mean two 100% savings in one day... it's like winning the lottery only better because I was in complete control and I did it all by myself so the instant gratification was exhilarating to say the least. To all of you newbies trust me this does not happen everday... otherwise the stores might go out of business. Although... it is highly unlikely due to the plain and simple fact that there are actually people out there who see no value or use or sense or whatever in using coupons (which trust me fellow couponers is good for us!). While I am shocked, amazed, in disbelief, etc. over the fact that some people have no respect for my closest allie (the coupon) at the same time it is a relief. I mean think about it... if everyone could use coupons like we do they may stop making coupons... and then I would have to be admitted to some sort of asylum so I would be oblivious to anything else going on around me and it just simply wouldn't matter. Anyway, back to the subject... do I really care that other people have so much money that they don't want and/or need to save money? I guess I don't care so much as I don't understand!!! Ok, I am going to get off of my soap box but if you think coupons are a waste of time or can't really save you that much money just check out the register receipts below and if you still think there is no place for coupons in your life because it is not worth your time and/or effort... will you at least trade bank accounts with me because you obviously already have more money than you know what to do with... or better yet just send me a check out of the excess money in your account and we will call it a day. 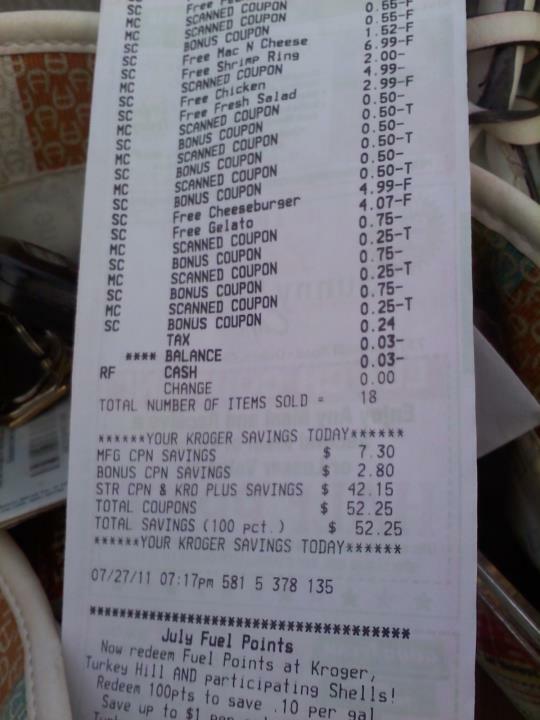 You can make the check out to Tina... thank you and have a great day:) If you love your coupons as much as I do and can't wait until Sunday when the paper comes out and the new sales start... share me with your friends and let's take our coupons and excess spending on groceries and CUT IT OUT! 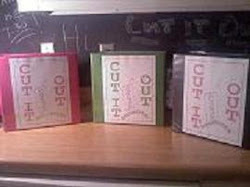 OOPS.. only had one pic... check out my Facebook page to see the other pic! Congrats on your 100% savings!!! That is just so cool. My future goal is to save every penny :). Thanks for posting your cool savings!!!! Thank you so much Anne!!! I started doing all of this because I always have people asking me how I do it and I love sharing with people and I thought with this forum I could hopefully help a lot more people! Thanks for your comment... I always appreciate everyone's thoughts and opinions!